Hemisphere GPS announced its next-generation Eclipse II GNSS receiver technology today (September 8, 2010) and the release of the Eclipse II OEM board. Based on new firmware and application specific integrated circuit (ASIC) designs, Eclipse II has the ability to track and process a wide range of GNSS signals including current and modernized GPS, GLONASS, satellite-based augmentation system (SBAS), OmniSTAR, and the future Galileo and Compass system signals. The ASICs offer a reduced number of board components, thereby simplifying the design, reducing power consumption, and improving reliability, according to Michael Whitehead, vice-president of technology at the Calgary, Alberta, Canada–based company. 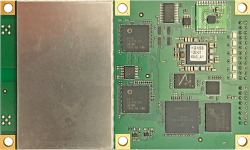 The new digital ASIC reportedly can process five separate GNSS frequencies and up to 90 separate satellite signals at one time. Multiple copies of the digital and analog ASICs are being combined into Eclipse II GNSS receivers. Eclipse II improves GNSS performance, particularly with real-time kinematic (RTK) and GLONASS applications (in particular, by avoiding GLONASS receiver bias issues), using Hemisphere GPS’s patent-pending SureTrack technology. Benefits include extended and more robust RTK solutions as the rover RTK receiver will process all available signals even if they are not common with the base receiver, according to Hemisphere GPS, with baselines of up to 50 kilometers and faster reacquisition times. On September 2, Hemisphere GPS also announced the availability of the R131 DGPS receiver — a rack-mountable addition to the R100 Series of DGPS receivers. 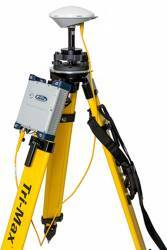 According to the company, the R131 allows for consistent sub-meter performance with standard SBAS differential and Hemisphere GPS’ exclusive COAST technology that maintains accuracy during temporary loss of differential signal.